The following morning May 17th David and Jen, JC and Audrey had to head back home which left Gary, Ron, Clifford and myself prepared to head out toward the rim area of the Little Colorado Gorge (LCRG) upstream 3.5 miles from the confluence, where the fabled Sipapulima is located on the eastern bank of Little Colorado River. Dar remained behind and began packing up our campsite. 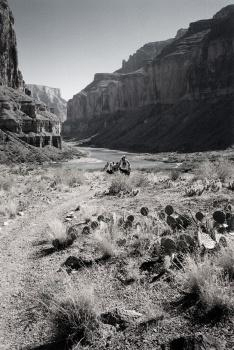 Hopi Indians on pilgrimage on the Salt Trail in the Little Colorado River Gorge. We headed back out to the west without a clear idea of how to drive out to the area that is located just north of Salt Trail Canyon. We initially thought that approaching from the north would be the easiest route, but we soon realized that this was not going to be the case. The maze of rough roads and jeep trails are virtually impossible to predictably navigate and our Delorme quadrant map did not seem to be very accurate. We ended up having to navigate out toward Salt Canyon by dead reckoning. 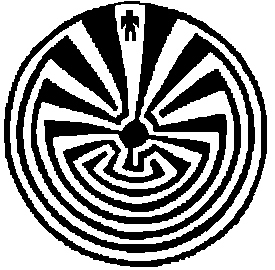 We found ourselves backtracking from dead ends and, at times, driving around in circles like we were trapped inside a Hopi maze. 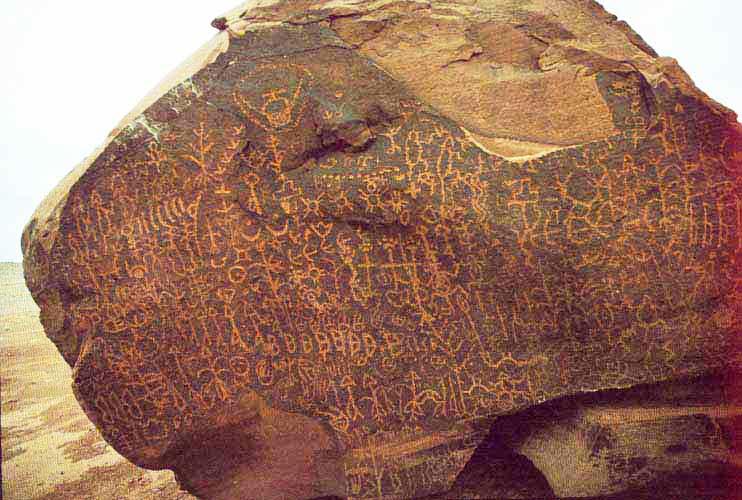 “According to legend, in the depths of the Little Colorado River abide the spirits of the Hopi. In the dim past, these legends tell, the spirits emerged from the Canyon, and the dead returned to reside in hadean gloom. 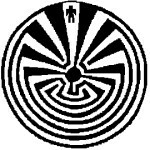 This exit from the world beneath is known to the Hopi as the Sipapu [sipapulima]. Other legends tell of ghostly inhabitants who, arising from the abyss with glowing eyes and monstrous forms, traveled out across the Painted Desert to revisit their earthly homes on the Hopi mesas, where they now maintain a lively and beneficent interest in human affairs., the abode of the dead, should be regarded with wonder and reverence, and that it is natural, therefore, the things found in the canyons are possessed with great mystical powers. 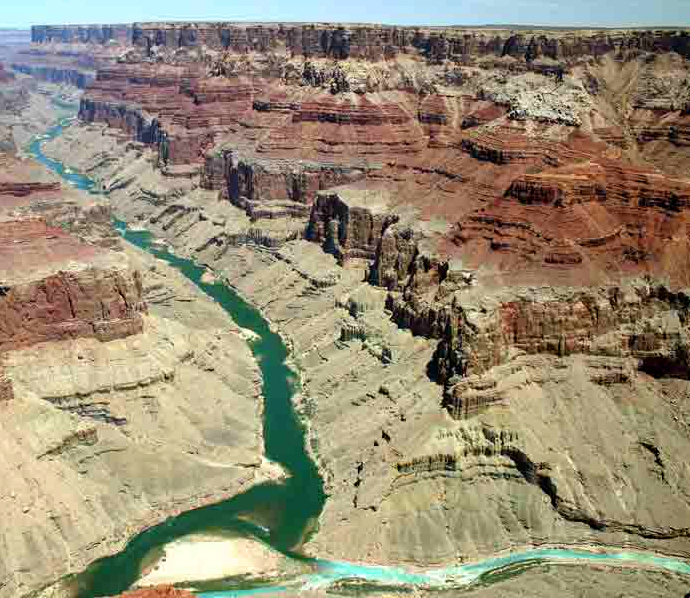 Photographs of the confluence show the dramatic color contrast between the waters of the two Colorado Rivers. The mighty Colorado, with its birthplace in the high Rockies of Northern Colorado, alternates between a dark emerald-green and a muddy, brown chocolate milk color (depending on the time of year), where as most of the year the Little Colorado is an unearthly transparent turquoise color. The Little Colorado gets its start in Arizona’s White Mountains and snakes to the north, across 19% of the state, before joining the Colorado River in Grand Canyon. 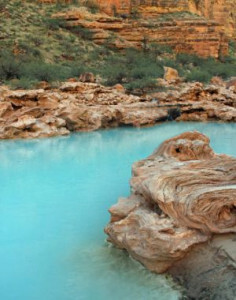 After the spring runoff, the highly mineralized waters entering the Colorado, are primarily fed by Sipapu Spring and Blue Spring and countless other seeps and springs that feed into the Little Colorado River Gorge (LCRG). Most of these water sources are found around the sipapulima site—located just north of the Salt Trail Canyon. 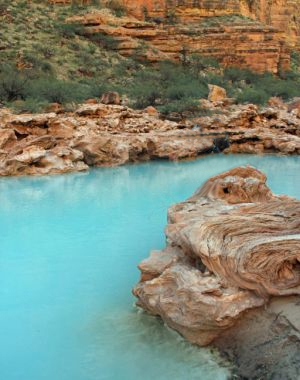 The unearthly light blue color is because of the high concentration of travertine limestone that is often found in mineral rich water flowing from hot springs. It derives its bluish color from the calcium carbonate due to the super saturated alkaline mineral content. For millennia these springs have deposited layer upon layer of travertine limestone that has eroded into fantastic shapes and undulating forms. We zig-zagged our way west skirting a temporary corral and herder’s camp and encountered increasingly rough terrain. Climbing up to the top of a low bluff we got our first view of Salt Trail Canyon and we got out to take a closer look through our binoculars. I looked over to the east and noticed an interesting rock formation about 150 yards away. I went over to investigate and found a crudely stacked three-foot-high rock cairn at the highest point of the bluff. Was this an ancient site or something more recent? 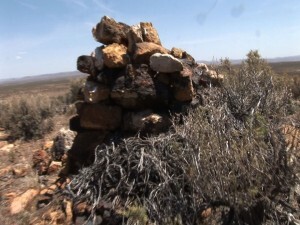 Gary and Clifford were of the opinion that the stacked rocks were relatively recent, but agreed that the original rock pile may have been much older. The sound of an approaching helicopter interrupted our inspection of the site. We had watched many tourist flights during our three days out near the rim and these flights were along predictable flight paths, from south to north away from the rim. But this new arrival was different. It was headed toward the LCRG and underneath we noticed a long cable and what appeared to be a load of pipe. 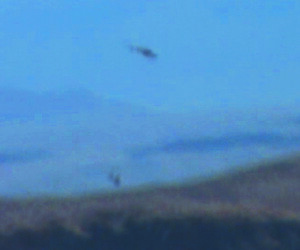 Much to our surprise, the chopper disappeared down into the gorge, violating restricted airspace! I grabbed the camera but was unable to shoot any footage of this possibly illegal flight. The four of us began discussing what we had just witnessed. Obviously, something was going on and we climbed back into the SUV and raced down the bluff in an attempt to get closer to Salt Trail Canyon. But again, we were stymied by the maze of jeep trails and rough ranch roads. We spent the next half an hour trying to negotiate our way closer until finally we were perched an a small hilltop about three miles from the end of Road 6120 where it dead-ends into a cul-de-sac at the top of Salt Trail Canyon. There were five identical white pickup trucks and a large semi truck parked at what appeared to be a staging area for the chopper flights. The chopper took off and appeared to be flying with another sizable load strung underneath —this time it was a large round bundle. 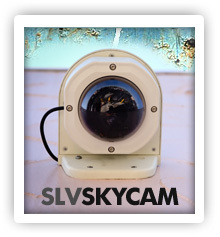 I jumped out and began filming the chopper as it again appeared to descend into the LCRG. Then about ten minutes later, we saw what appeared to be the same chopper, but this time it was flying out of the gorge and headed toward the staging area. As it approached it veered off to get a closer look at us and then descended below 100 feet and raced over to the dead-end. The next two flights we witnessed altered their flight plans and ducked into Salt Trail Canyon as quickly as possible in an effort to hide from us perched three miles away on the hilltop. We all agreed that our presence had probably caused this change of flight plan. Who were these people and what were they up to? And why were they flying loads down over one of North America’s most revered sacred sites? These flights violated restricted airspace and the fact that they altered their flight plan indicated that whatever they were up to, it was of a covert nature and they did not want to be observed. I’m waiting for part 4. It sounds interesting and exciting! Keep us posted Chris! Also, I like listening to your shows on the Paracast. Also, very good! i think your “illegal” helicopter flights were probably the US Fish and Wildlife’s fisheries program flying supplies and personnel down to the LRC for a native fish monitoring program that they do 4 times a year, including once in early to mid-may. there are 3 different camps that they fly to, one of which is right at the base of the salt trail canyon, which might be the explanation for why the helicopter altered its flight plan and headed right down the canyon. 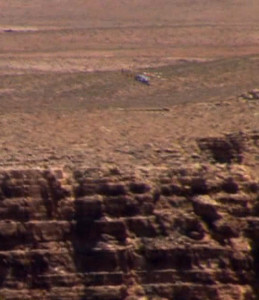 they stage and take off from the helicopter landing pad right at the top of the canyon and the beginning of the trail. 5 identical white trucks sounds about right for that too – the majority of federal government cars are white, and they’re bringing out probably around 15 people and a ton of gear. It doesn’t look like there is going to be a Part 4 as mentioned? Sure hope part 4 emerges…fascinating. Umm Part 4 was published almost a year ago! At the LCR by the river there is a heli pad. The Fish and Game people have supplies dropped at the site. No big mystery, you just have to hike the Salt Trail to see this.